Leaps and Bounds takes care of their own with Paycor. Families rely on Leaps & Bounds Therapy Services for personal therapy services. 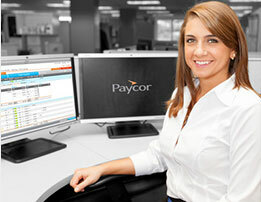 The company relies on Paycor for personal business services. Alison Barnett, president and founder of the company, explains why they partner with Paycor. Leaps & Bounds doesn’t have a full-time HR manager. But they do have compliance concerns and questions about HR. They turn to HR On-Demand for answers. Payday doesn’t have to be all day. With over 40 employees and contractors splitting their time among three locations, payroll was a real chore. Now managers are tracking time and Casey can complete their payroll in minutes, from home with Perform. Timekeeping and Payroll – seamless. Managers get to see their people’s hours and Alison and Casey get to track the entire company from any location. Perform Time makes it easy with time files automatically pulled into Perform. Managing employees and staying efficient. Hiring new employees and managing the existing crew in three locations can mean a lot of phone calls and road time - unless everyone is working online in Perform HR. After years of business, time to review. The business was in good shape practically the first day. Now Leaps & Bounds Therapy Services is ready to take a step back and see where they should be going tomorrow. Reporting & Analytics lets them review their labor by location, department, or any combination they need. Everyone’s paperwork – available anytime. More than most companies, Leaps & Bounds Therapy Services has to track multiple certifications for their employees and contractors. That means hours of paperwork and rows of filing cabinets or using Perform HR to track it all online.